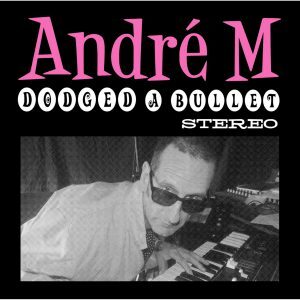 Hammond-fuelled, Funk-fired, Rhythm and Blues instrumentalist Andre M! André M is a British based instrumental Hammond-fuelled Rhythm & Blues artist, with a hint of 70’s Cop Show dusted on the top, culminating in a musical shoot-out between Booker T and Lalo Schifrin. 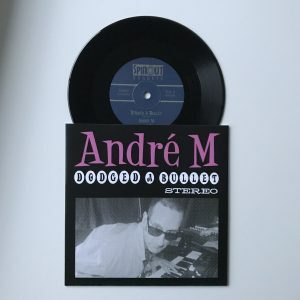 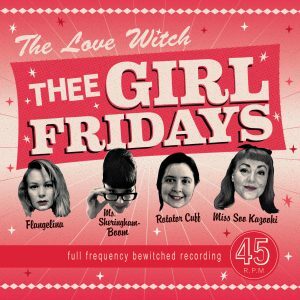 Having just released his second album through his own Set-2 label, his previous single release ‘Kenzy’s Choice’ (on Crocodile Records) received rave reviews from the music press and buyers alike. 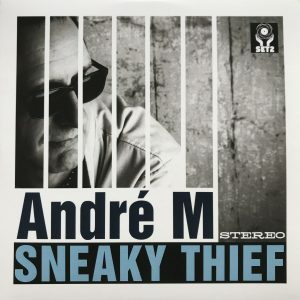 His is debut album ‘Cheriton Drive’ and debut single ‘Sneaky Thief’ have been greeted with much praise and enthusiasm from fans around the world. 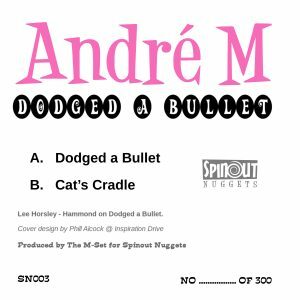 On this limited hand numbered 7” vinyl release of 300, ‘Dodged A Bullet’ was written as an imaginary chase scene from a fictional late 60s/early 70s cop show. 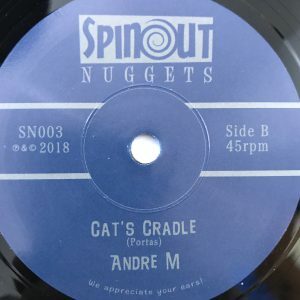 ‘Cat’s Cradle’ is the name of the night club in the same show, a hang out for many of the city’s underworld of movers and shakers. Written and composed by André, and Recorded at Set-2 Studios in 2018, André himself played all instruments, except for the Hammond organ on ‘Dodged A Bullet’, which was played perfectly by Lee Horsley (of Spiritualized and The Selecter). 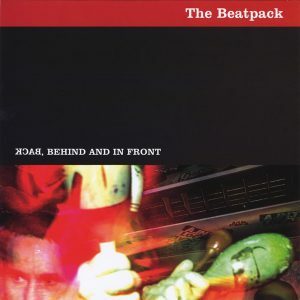 Both tracks were produced by The M-Set. 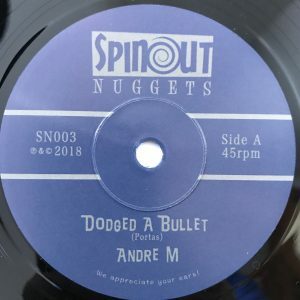 The third release on Spinout Nuggets label, this release is a dance-floor groove!